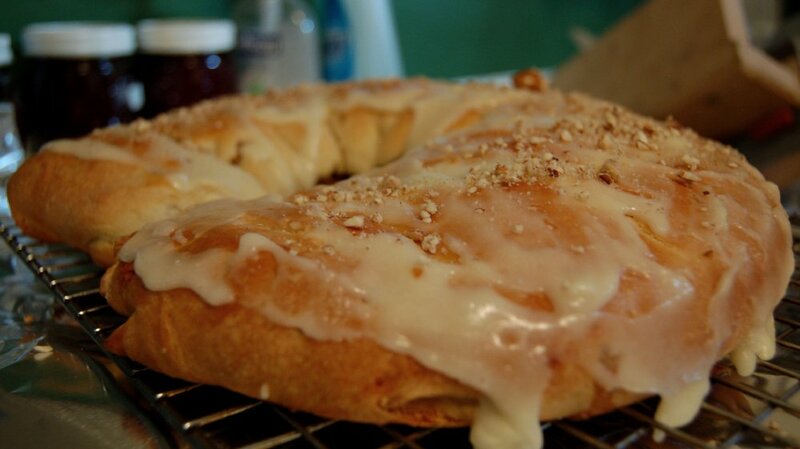 Homemade kringle; official state pastry of Wisconsin. Photo by Kevin Muncie/Flickr (Noncommercial Use Permitted with Attribution/No Derivative Works). Kringle is a flaky, oval-shaped pastry with fruit or nut filling. Racine, Wisconsin is known as “The Kringle Capital of the World." Baking kringles is a tradition brought to Wisconsin by Danish immigrants in the 1800's and some bakeries are still using decades-old recipes handed down by their ancestors.